Wat is dit voor site? Wij zoeken de goedkoopste boeken op internet. 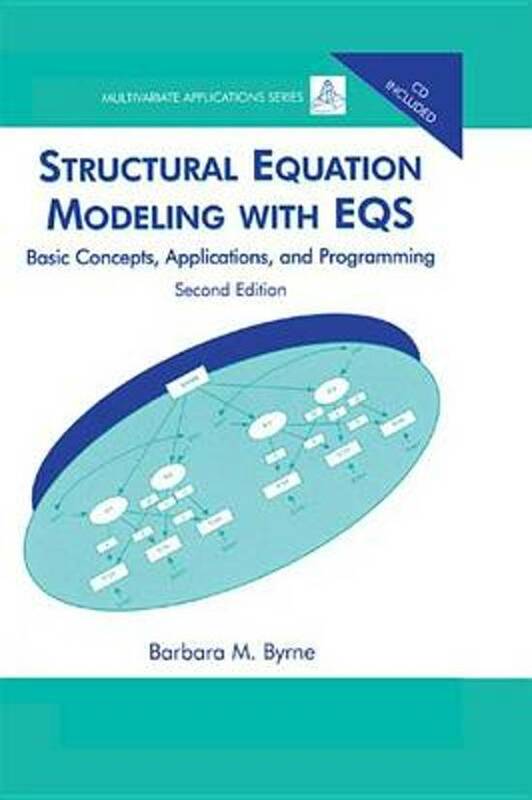 Structural Equation Modeling With EQSvonden we het goedkoopst op Bol.com voor €43.99. We hebben gezocht in nieuwe en tweedehands boeken. Rechtsonderaan de pagina kan je het boek direct bestellen	via Bol	.com. Written in a ''user-friendly'' style, the author ''walks'' the reader through the varied steps involved in the process of testing SEM models: model specification and estimation, assessment of model fit, EQS output, and interpretation of findings. Each of the book's applications is accompanied by: a statement of the hypothesis being tested, a schematic representation of the model, explanations of the EQS input and output files, tips on how to use the pull-down menus, and the data file upon which the application is based. The book carefully works through applications starting with relatively simple single group analyses, through to more advanced applications, such as a multi-group, latent growth curve, and multilevel modeling.